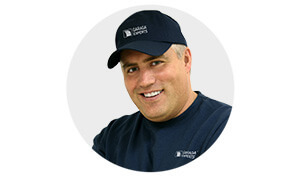 Garaga Inc., the number one manufacturer of garage doors in Canada, has certified us as a Garaga Expert. This means we can guide you in finding exactly the right garage door to meet your needs. Benefit from our proven expertise in every phase of your garage door selection, installation, maintenance, service and repair. We invite you to visit our showroom Monday to Friday from 7:30 AM to 5:00 PM or ask for a free at-home estimation and design consulting service. We also offer 24 hour emergency service. The Chamberlain Group manufactures LiftMaster, is the only garage door opener line we recommend and sell. Their powerful motors and industrial-strength rails assure smooth, steady durable performance. And better yet, this best-selling drive system is backed by trained technicians. Learn more about LiftMaster products at our garage door openers and you’ll see we stand behind LiftMaster garage door openers. We are there for you to fix or replace any part of your garage door system with our fully equipped and trained technicians ready to come to your home and leave you satisfied. And sleep easy with our proactive preventive maintenance tune-ups and opener repair service. For residential or commercial emergency service, evenings or weekends, contact our trained professionals and sleep easy knowing your garage door will perform how and when you need it! Our business proudly served a large area including Fredericton (including Gagetown, Nackawic, Oromocto, Stanley and more) and Saint John (including St. Stephen, St. George, Rothesay, Quispamsis, Norton, Hampton and more). Fredericton, Saint John and surrounding areas.